Autodemo Throwback Thursday takes us back to 2004. Shutterfly was introducing their digital image printing and editing to the new e-commerce world. Much like the earlier Amazon video in 2002, this video served as an introduction to an emerging field. Given the passage of time, it’s hard to imagine when digital photography needed to be explained to consumers. But, it was a different era. Shutterfly saw a need and Autodemo helped them to demonstrate it. Shutterfly had to explain & demonstrate the ease of ordering prints in an era where Photo Huts were still hanging on. The ability to alter photo images was highlighted as a selling point. A consumer’s photo prints could be adjusted on the fly from an end user’s home. Image touch-up solutions were now available to private consumers. If that wasn’t enough, consumers also had the option to adapt pictures into Calendars and other novel peripherals. Shutterfly also offered the option of hosting images for you to email to friends and family. Shutterfly showcased an emerging commercial field for digital photography in 2004. 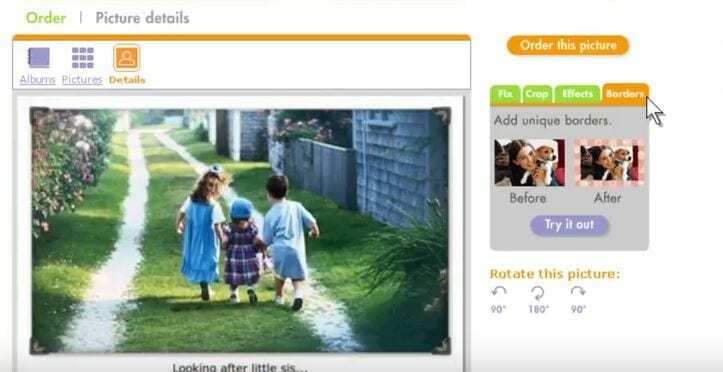 This video serves as a demo for Shutterfly’s ease of use. While trips to major pharmacies and photo chains forced multiple choices and inconvenience, this service laid out everything that an end user could ever need. While the modern Shutterfly website has added new production options, the infrastructure of the site remains the same. Here’s to another 12 years of great success! Autodemo Throwback Thursday is taking another trip back in time. How well do you remember 2004? The hacktivist group Anonymous is officially founded. Yelp launched on October 13, 2004. Firefox 1.0 goes live on November 9, 2004. PC Maker Gateway closed retail outlets in April. Google launches social network service dubbed Orkut. Vimeo is founded in November by Jake Lodwick and Zach Klein. Google officially owned 100 domains/services.